President Yoweri Museveni has sacked six senior government officials in the Ministry of Education and Sports due to fraud. The directive also provides for the dismissal of the Contracts Committee of the ministry of Education due to “mishandling of the process for procuring furniture for selected primary schools in Uganda under the Ministry of Education and Sports”. Those fired included Mr Daniel Nkaada, the ministry’s commissioner for basic education and ordered to refund Shs10,080,000, Mr Philly Mpaata, a quantity surveyor with Uganda Teacher and School Effectiveness Project (UTSEP). Others are, Mr William Hasoho, a procurement specialist at UTSEP, and Mr Thaddeus Lugolobi, who the IGG ordered to refund Shs8.2m last year over the mismanagement of an emergency construction programme. 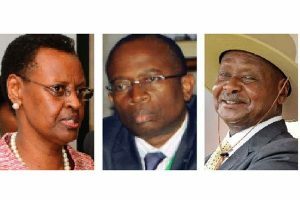 In the October 1 letter, Mr Museveni points out “persistent lack of seriousness by elements in the public service”, which he says is a major hindrance to efforts to empower Ugandans. “Last month, I chaired two meetings in which I expressed my displeasure at the manner in which the above [furniture] procurement was handled by officials in the Ministry of Education and Sports. I told you and the ministers of State that the award of all the tenders under the said procurement to foreign firms upon eliminating our local enterprises from the process was a blatant violation of the government’s own “Buy Ugandan Build Uganda” policy and, therefore, unacceptable,” Museveni letter read.